Your college reading experience should not be limited to a narrow reading list of study materials. There is a handful of books that will never get recommended by college professors but can dramatically alter your worldview and motivate you to pursue art, entrepreneurship, or even long-term travel. Check-out the following list of great books compiled by our editors. If some of them end up on your shelf, your life might take an exciting, non-traditional route. 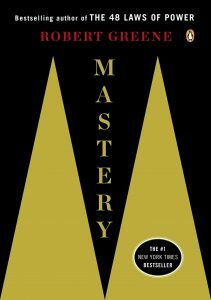 The latest book by the renowned author will provide you with a clear path to mastery. By drawing on his vast knowledge of science and history, Greene teaches his readers how to predict events with a high level of certainty, tolerate complicity, and achieve fulfillment. Isn’t that what you’ve been looking for? Among all college level books you are advised to read, this is, perhaps, the most unceremonious one. Its author has made a career as a navy SEAL, therefore he is not reserved about voicing his strong opinions and telling things as they are. Have you been called a “sugar cookie”? Well, then, prepare for a bumpy and exciting ride with this irreverent read. The book is both helpful and immediately practical. Every college graduate should become an entrepreneur. “What a bizarre proposition,” you think. Not according to Pearson who is a successful owner of several ultra-lean businesses. 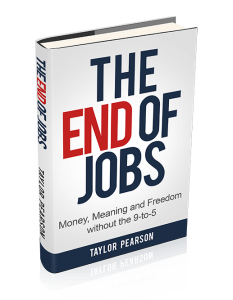 After you read his book, there is a solid chance that you get hooked on his ideas and unquenchable enthusiasm for self-employment. Who knows, maybe The End of Jobs will become the begging of something big and exciting for you. This is another eye-opening read for college students. The founder of Bridgewater Associates shares his insights on developing a unifying corporate culture. 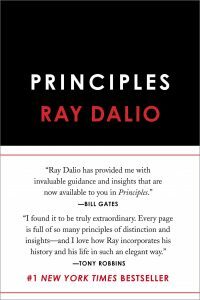 At first glance, the author’s radical ideas are not easy to accept – Ray Dalio says it as it is. “Evaluate accurately, not kindly” a strong advice that can improve both an intricate machinery of your private life and your future business. 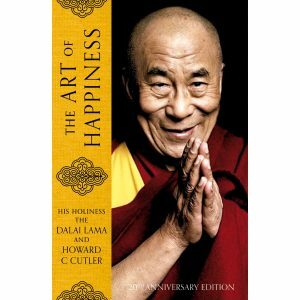 Read the book for more advices, principles, and pointed criticism. Taleb provides his readers with a detailed plan for surviving in the world of ever-increasing uncertainty and volatility. The author argues against top-down efforts to suppress randomness and states that fragility should not be avoided. Prepare for contentious, controversial, and slightly offensive theory about how to live in the world of uncertainty. 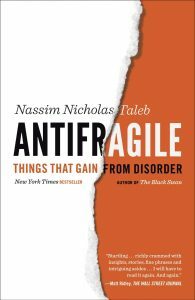 If you don’t put the book down after dizzying hops and skips of narration, you will learn a powerful lesson and become antifragile. The book will help you use the wisdom of ancient stoicism in the modern settings of academia and entrepreneurship. Every student needs to know how to thrive in the midst of chaos. 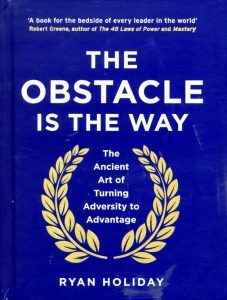 Want to learn how to boost your success by exploiting obstacles? Just immerse yourself into three disciplines developed by philosopher-kings of the Roman Empire: the discipline of perception, the discipline of action, and the discipline of will. This is another barrier-shattering book you should read before graduation. 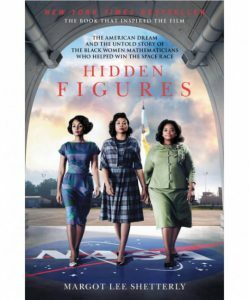 Taleb details the story of four African American women who worked for National Aeronautics and Space Administration (NASA) in the 1940s. The author skillfully incorporates the broader historical context into her narrative about the mathematicians who surmounted immense odds and succeed in the environment characterized by misogyny and racism. Put shortly, this is interesting and truly inspiring read for every student who is about to enter the modern workforce. Tomorrow is an important exam and you better study fast. Is your memory sharp enough? If not, give this book a try. 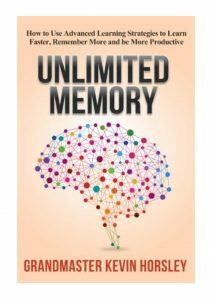 Horsley, who is a Memory World Record holder, provides his readers with actionable lessons on maintaining and increasing their memory capacity. 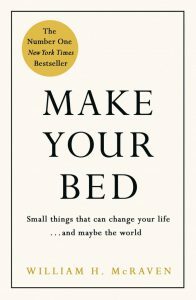 The book is brimming with acronyms and useful memory techniques that will help you concentrate better and remember more. 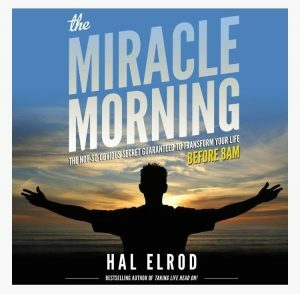 After surviving from a shattering car accident, Elrod has developed solid morning routines meant to generate productive and successful days. The author does a great job of explaining how to rise above mediocrity and join the top-performing 5%. The principles outlined in the book will help students to advance their future careers and get their relationships in order. If there is a must-read, this is definitely the one. Your summer reading list wouldn’t be complete without this book written by Princeton sociologist. The author follows 8 Milwaukee families through their daily struggle to find and keep a shelter. 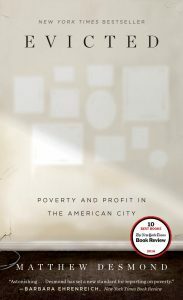 The unsettling and candid narrative of the full-blown survival mode of struggling families living in the era of economic exploitation will transform your understanding of poverty and help you appreciate your life more. The only graphic novel in the reading list is perhaps the most important and interesting book you can read before graduating from college. Hailed by Bill Gates as both heartbreaking and hopeful, The Best We Could Do illuminates its readers about the traumatizing war experiences. 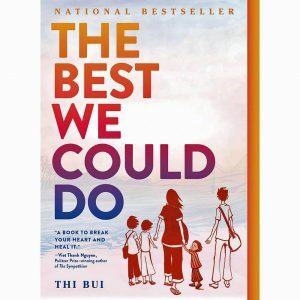 Being the daughter of Vietnamese refugees, the author recounts her childhood and how it was shaped by the parents’ past. The powerful story is a veritable eye opener for everyone inspired by the antiwar movement. This riveting parody of a get-rich-quick books can be devoured in several hours. With the help of a determined protagonist, the author tells a touching love story in the context of consumer-driven economic development. 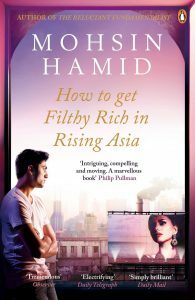 Hamid shows that unadulterated love is a rarity under the conditions of economic struggle: the protagonist and his sweetheart remain tantalizingly estranged for much of the novel. By linking different narrative elements together, the author manages to create a quasi-philosophical and well-functioning novel. All students working on their entrepreneurial skillset should introduce this book into their home library. Purposeful takes a closer look at the manager vs leader dichotomy. 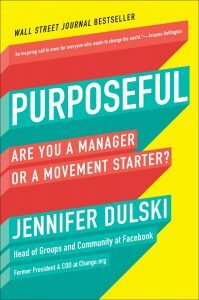 If you are not content with being a leader and want to become a movement starter, you should read the book from cover to cover. This is an excellent guide to safe navigation of treacherous and tumultuous waters of the Web. Written by Internet safety activist, the book details many online wrongdoing (fat shaming, trolling, doxing, sextortion, etc.) and provides helpful advice on how to avoid them. By reading these shamefully fascinating case studies on online harassment and practical solutions for each scenario you will become an empowered digital citizen. 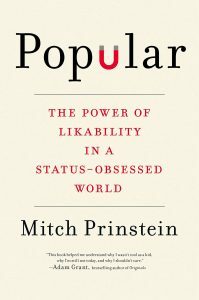 This rigorous exploration of the social phenomenon referred to as popularity will force you to reexamine your relationships with friends, colleagues, and romantic partners. The author argues that the everlasting adolescence, which is deeply embedded in people’s souls, often undermines their health and career success. Read the book to learn how to increase your likeability, thereby improving your wellness outcomes. The book by the most influential Buddhist monk of the 21st century will be enjoyed by Westerners struggling to find self-identity and achieve the much-desired happiness at work. Want to know how to achieve a blissful absorption in any professional activity and learn from failure? Then, put this book on your nightstand and read it studiously. Soon, you’ll be inspired to shift your perspective and bring positive change into your professional life. In a truly inspirational guide to personal freedom, Ruiz teaches his readers how to handle criticism, provide constructive feedback, and solve problems. 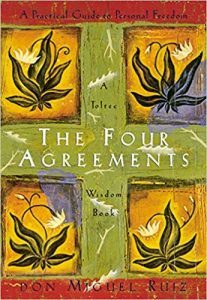 If you want to get rid of the onerous mental baggage you’ve been carrying around for many years, there’s no better way to start than by reading this book. Let the emancipation begin! Sometimes, being a student can feel like a war. Because it is! 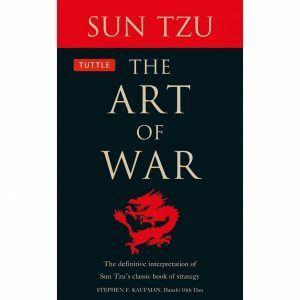 Pick up a copy of Sun Tzu’s book learn how to win the most important academic and life battles one can face. If you have a winner mentality, the book will immediately resonate with you on more than one level. Reading it is tantamount to having a pep talk from a veritable general and military strategist. And what can inspire more? The biography will immerse you in the life of a true business pioneer Tilar J. Mazzeo. 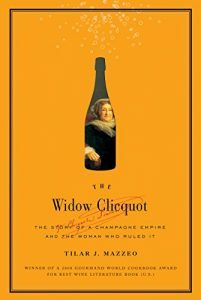 The author narrates her story of becoming one of the most successful female entrepreneurs after the untimely death of her husband in 1800s. The woman shows that daring and determination can shatter the glass ceiling and help to build a successful business empire. You won’t be able to put down this beautifully-written book. 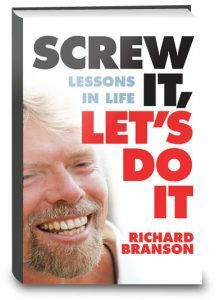 Reading the Branson’s life journey will inspire you to work toward the positive change in your own life. The book will provide you with a useful exposure to true business challenges and enthusiasm to tackle them. As soon as you finish it, the self-limiting beliefs you have will vanish without a trace. Now you have a long list of books any one of which can radically transform your life. When absorbing the powerful lessons they have to offer, remember: knowledge without action is worthless. Therefore, read and act as much as possible!